Little is understood about how abrupt changes to the amount of food produced globally impacts on society. Yet, when a country experiences a national food production shock – through disease, drought, flooding, hail damage or wind – we expect global food trade to fill the gap. International trade is also projected to play an increasingly important role in feeding the world. This raises concerns about the systemic risk related to international trade that can be exacerbated by trade restrictions and changes in international prices. At the same time, pressure on natural ecosystems through expansion and intensification of agriculture, alongside climate change, may lead to critical instabilities in the food production system. 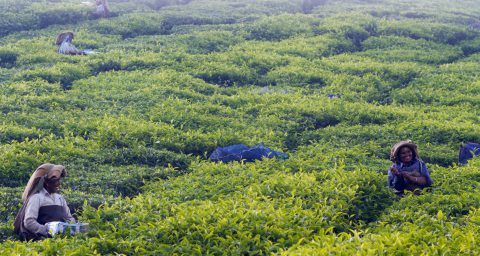 A lack of timely policy response could extend the scale of the resulting food crisis and increase geo-political instability, so it is essential that policy makers are well-informed. This was evident in 2007 and 2008, when drought-induced crop failures, low levels of global stocks and the widespread use of export bans led to a more than doubling of the price of major crops (wheat, maize, soybeans and rice) on international markets. For many developed countries the increase in price was easily absorbed and had no impact on food availability. However, some domestic prices increased dramatically in developing countries. This price spike, alongside a loss of income for some farmers, triggered protests and, when governments responded with violence, the outbreak of civil unrest. 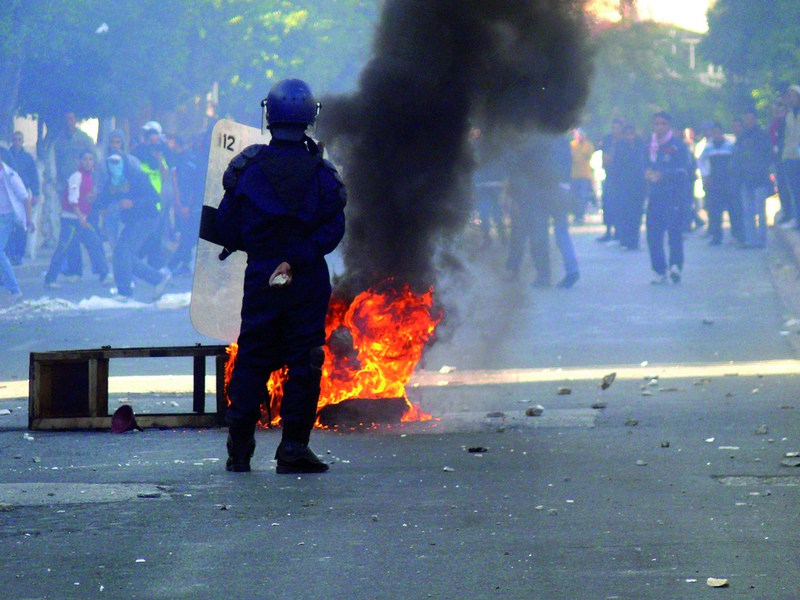 Algerian security services clashing with youth demonstrating over high unemployment and food prices in 2011. While the physical causes of food production shocks are well analysed, societal responses to those production shocks require further attention. In particular we need a better understanding of the dynamics involved in the creation of (global) food prices, especially food price shocks. The study of the interconnections between scarcity and stability of natural resources, food prices and the incidence of extreme social responses such as protests and riots, is in its infancy. There has been an increased use of scenario analysis, systems science and political sciences to explore responses to food price shocks as well as a significant effort in using biological and climate models to better understand the causes of food production shocks. However, the link between these production shocks, market dynamics, policy response and prices is much less well understood. Our recent paper  explores data science techniques which may be applicable to developing a better understanding of these dynamics through analysing past food production and price data. New insights developed using these techniques could better inform future policy responses to such crisis. 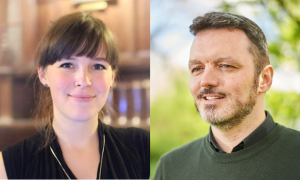 This paper was funded as part of a scoping award under the Science and Technology Facilities Council (STFC) Food Network+ project, and we note the importance of cross-discipline engagement to bring whatever tools and techniques are most applicable to better understand this important area. 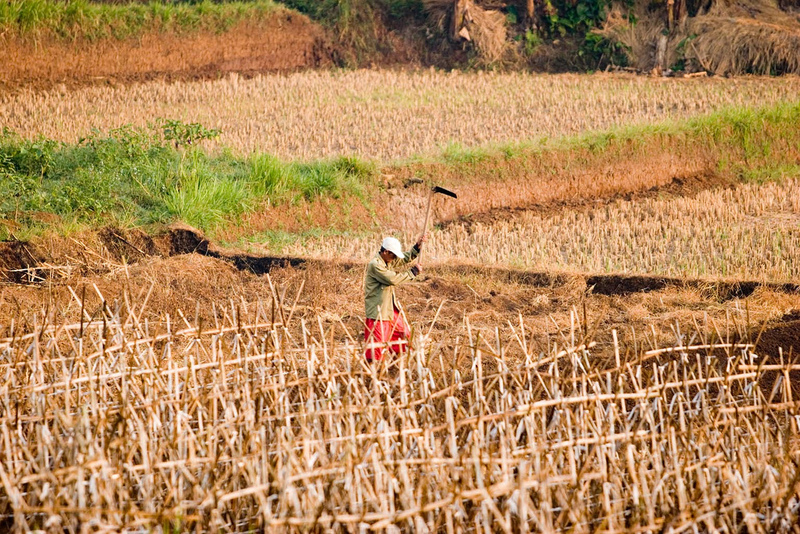 A farmer in rural Ciampea ploughs through hard soil on a rain-dependent rice field. In order to improve our understanding of the dynamics of these systems, as well as adequately predict food price instability periods and identify the underlying patterns and potential drivers of these instabilities, we need to employ new techniques. In the paper, we propose to combine methods from global food systems with methods from mathematics and physics to describe the food production system as a dynamical system with many degrees of freedom. In particular, we have extensively reviewed a full range of potentially relevant methodological applications in other disciplines, and identified that the most relevant are contained in financial mathematics and geophysical sciences. In our era of unprecedented data mining and dynamical modelling capabilities, the field of global food security has the potential to move beyond the limits of conventional regression techniques and significantly improve forecasting capabilities. It is now possible to build prediction engines that incorporate insights from the wealth of historical observational data pertaining to past food production shocks, while using data mining algorithms frequently used in the fields of mathematical finance and tectonophysics. Building such a prediction engine could help produce more reliable, policy-relevant insights about the combination and sequence of common or idiosyncratic factors that more accurately signal the arrival time of food system shocks via a feature selection process. Shock identification can be improved by the use of transforms that provide predictors that are more sensitive to signal changes and can be useful for transient detection. We would welcome additional voices and expertise into this emerging area of research. 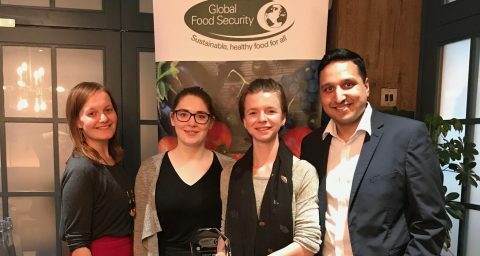 Professor Aled Jones is the Inaugural Director of the Global Sustainability Institute at Anglia Ruskin University, and a member of the Global Food Security Science Advisory Group. Valeria Shumaylova has recently completed her PhD at the Astrophysical Fluid Dynamics and Nonlinear Dynamics group, Department of Applied Mathematics and Theoretical Physics (DAMTP), University of Cambridge. This project was funded by the STFC Food Network+ (SFN) Collaborative Scoping Project call. The STFC Food Network+ (https://www.stfcfoodnetwork.org/) brings together STFC researchers and facilities with research and industry in the agri-food sector. The SFN is building an interdisciplinary community working to provide a sustainable, secure supply of safe, nutritious, and affordable high-quality food using less land, with reduced inputs, and in the context of global climate change and declining natural resources.